Assignment board trees each have10 holes and are assigned numerals from 1 - 10. Children use green and red apples to fill the tree with the needed amount.Adding apples to trees is a tactile and vivid way to learn number combinations. 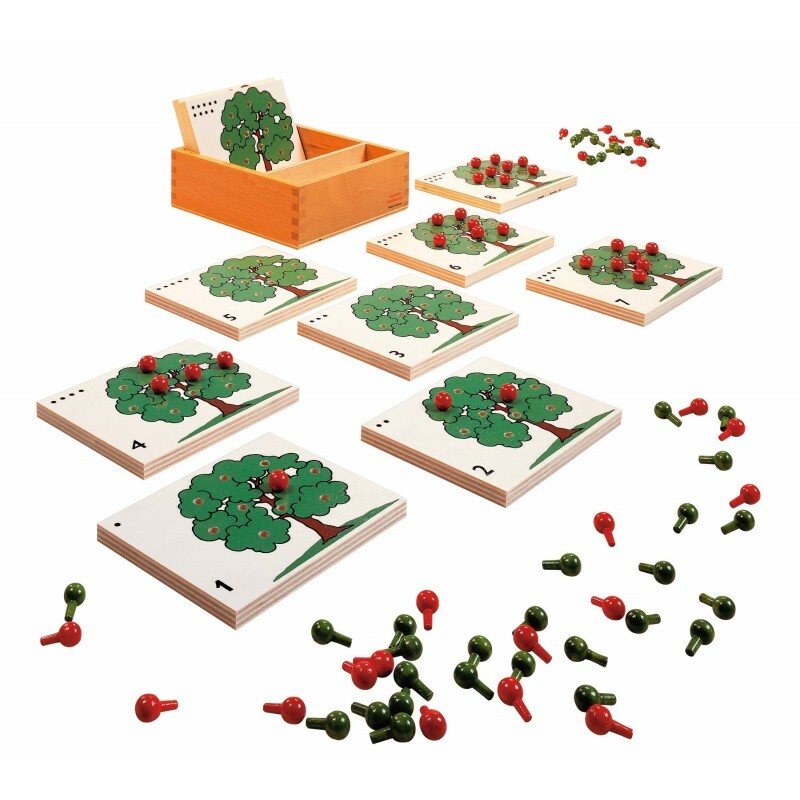 Contents: 10 wooden assignment boards with trees 60 red and green apple pegs manual Wooden box (15 x 14 x 5 cm).